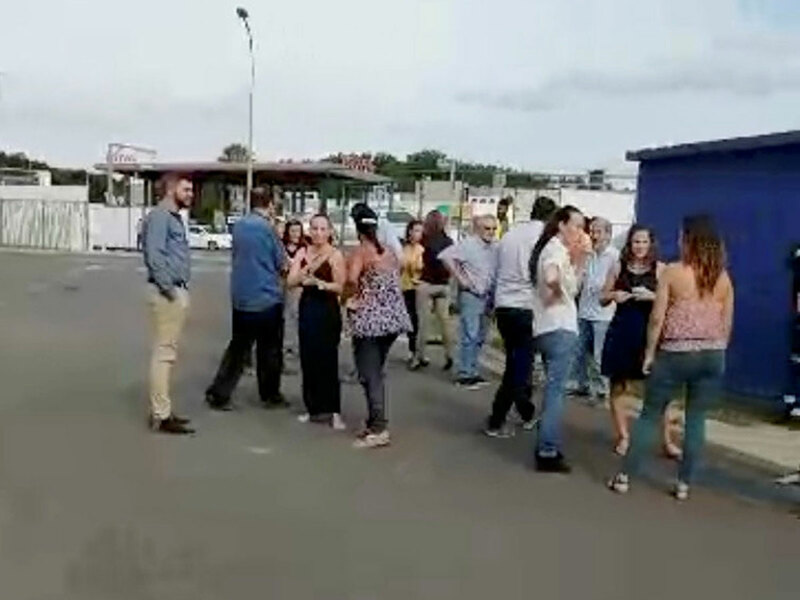 A powerful 7.5-magnitude earthquake struck near New Caledonia Wednesday, triggering a tsunami alert and emergency evacuations across a swathe of the South Pacific, but there were no immediate reports of serious damage or injuries. 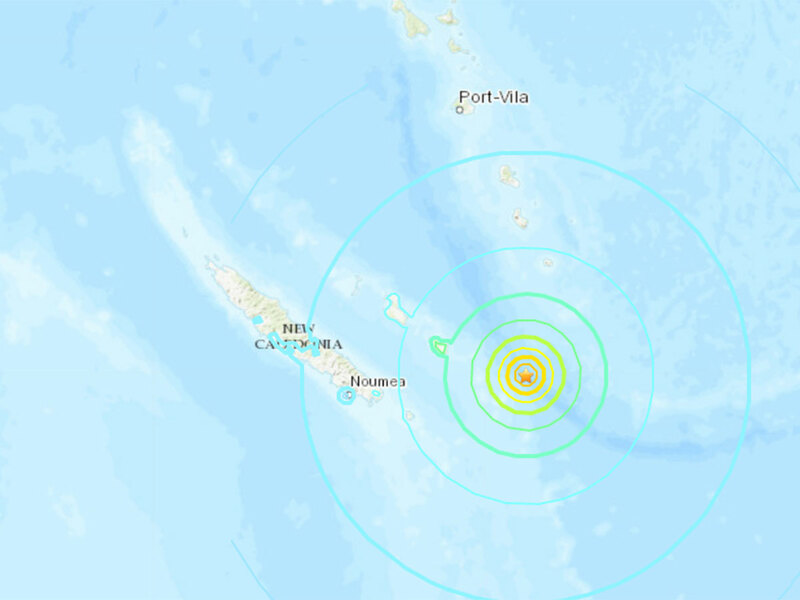 Authorities said the quake, followed by at least 10 strong aftershocks, was centred about 170 kilometres (100 miles) southeast of New Caledonia's Loyalty Islands at a depth of just 10 kilometres. Tsunami waves were recorded moving out from the epicentre, prompting residents to flee to high ground and triggering surges as high as 72 centimetres (2.4 feet) - on the island of Tanna, Vanuatu. The Pacific Tsunami Warning Center initially warned waves of up to three metres (10 feet) could be expected and shallow quakes of that magnitude can be devastating. Fresh 7.0 earthquake hits off New Caledonia: monitors. A shallow and powerful 7.5-magnitude earthquake struck off New Caledonia Wednesday prompting a tsunami alert and evacuations on the Pacific island, authorities said. Residents of New Caledonia, which lies north of New Zealand, received text messages directing them to go to refuges immediately, with waves of up to three metres possible, according to the warning centre. "Hazardous tsunami waves are forecast for some coasts," the Pacific Tsunami Warning Center said, after earlier warning that the danger zone included "coasts located within 1000 kilometres of the earthquake epicentre." The epicentre was some 300 kilometres east of Noumea. Several aftershocks were reported as the tsunami centre warned of waves of up to three metres above tidal levels for New Caledonia and Vanuatu and up to one metre for some parts of Fiji. New Zealand authorities issued a similar tsunami warning after the quake, but that was quickly rescinded. There were no immediate reports of damage from the initial earthquake and according to the US Geological Survey modelling, damage from the quake is expected to be minimal in terms of loss of life. A powerful undersea earthquake with a magnitude of 7.6 struck off the east coast of New Caledonia in the South Pacific on Wednesday, said the Pacific Tsunami Warning Center, which warned of possible hazardous tsunamis in the region. The Pacific Tsunami Warning Center said tsunami waves of between 1 and 3 meters (3 and 10 feet) were possible along some coasts of New Caledonia and Vanuatu, while waves of up to 1 meter (3 feet) were possible in Fiji. According to the US Geological Survey, the quake struck about 168 kilometers (104 miles) east of Tadine in New Caledonia at a shallow depth of 10 kilometers (6 miles). Earthquakes are generally more destructive when the epicenter is near the surface. New Caledonia sits on the Pacific "Ring of Fire," the arc of seismic faults around the Pacific Ocean where most of the world's earthquakes and volcanic activity occur.